Arsenal ace Mesut Ozil, since joining the Gunners in 2013 from Real Madrid, has been bashed with relentless waves of scrutiny, although the German playmaker has defiantly shut down his critics with a dismissive statement of his own. 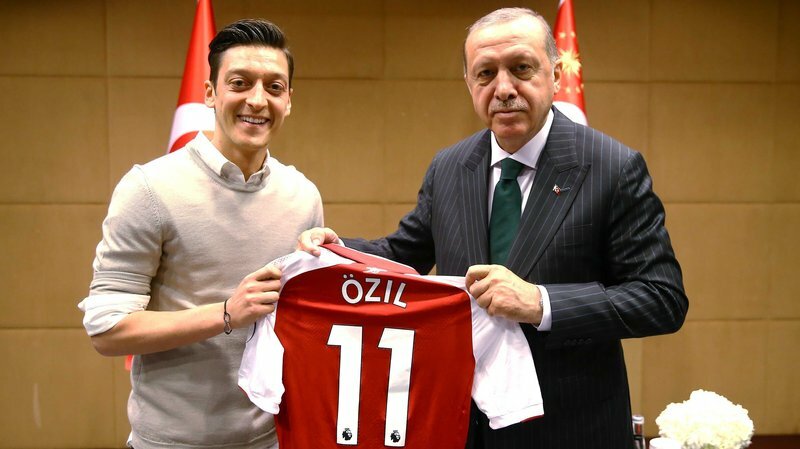 Ozil has recently been slammed by the German Football Association for fraternising with Turkish President Recep Tayyip Erdoğan and was omitted from Germany’s 2018 World Cup fold in retaliation. Citing prejudicial abuse, the midfielder subsequently retired from international football with Die Mannschaft. A deceptive operator on the pitch, Ozil’s work rate and application has also been placed under the microscope by various television pundits, however the 29-year-old – speaking to Daily Mail – staunchly opposed the unjustifiable reviews that have previously been flung in his direction. “Look, I know there’s people out there that like me, there are also people who don’t like me,” he said. “This is a fact of life. But, for me, what is important is what the people in my inner circle tell me. “I don’t care what people say outside of that. It doesn’t affect me. “If the coach, or people in my circle, tell me: ‘Mesut you have to do this, or have to do that’ then I listen. I’ll take that and work on it. Arsenal, incidentally, face Sporting CP on Thursday evening in the Europa League group stage, so the ingenious assist king could very well have another opportunity to answer his critics on the turf at the Emirates with a distinct, productive performance. Share the post "Arsenal ace shuts down critics with dismissive statement"